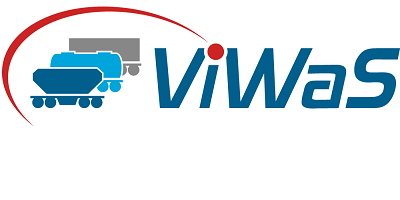 After its first release during transport logistic 2015, the fourth ViWaS is now available for download. A field test performed by Fret SNCF with a bimodal shunting engine is the front-page article of the current issue. Project partner SNCF evaluated potential benefits from the deployment of a rail-road tractor over a standard shunting locomotive. Additionally, the newsletter features an article about the shooting of the ViWaS film. Three technical project innovations are shown in the picture: the Timber Cassette 2.0, the Flex Freight Car, and the Container Loading adapter. You can watch the ViWaS film either on the project website or YouTube. Another topic of the fourth issue is telematics visualisation. Eureka informs about advantages of user-specific data supply. Finally, an overview of partner appearences at transport logistic is given. The new issue of the ViWaS newsletter is available within the Media Centre.